A1 Towing NYC offers 24 hour roadside assistance services in Manhattan NY. Other services include towing, flat tire replacement, auto jump start, and car unlocking. A1 Towing NYC offers 24 hour towing in New York and its surrounding areas, road side assistance, and automotive services. No matter what the issue is, A1 Towing NYC will be happy to send out a fully equipped tow truck to you with a trained and professional technician to assist you. Next time you need any type of towing service in NYC or automotive service in Manhattan NY, call us at (212) 695-3157. A1 Towing NYC offers towing service to all of New York City. It is very fraternizing to be locked out of your car or truck. If that happens call A1 Towing NYC and we will send a tow truck to help you out..
A1 Towing NYC offers a wide range of roadside assistant services in Manhattan NY. Being stuck in Manhattan NY with a dead battery is horrible. Well A1 Towing NYC is here to help. Being stuck in Manhattan NY with a flat tire is horrible. Call us and we will send a tow truck to with an experienced technician to help you. One of the services all of our Tow Trucks offer is full delivery and refill. If you need your car or motorcycle towed, contact A1 Towing NYC. If you need any type of towing service in Manhattan NY, contact A1 Towing NYC. A1 Towing in Manhatttan NY is a very affordable towing solution. A lot of tow truck company are scammers. This one is NOT. They truly helped me when i felt like i had no other option. They boosted my car and where very kind. I was late to work, they rushed to help me and it was done very quickly. Best tow truck service in manhattan. I needed a tow truck to tow my car in NYC i called A1 Towing NYC and they came quick, price was very affordable, and great customer service. If you ever need a tow truck in New York City give them a call. The best towing company I have ever used!!! My go to whenever I’m in manhattan. Always reliable and super quick!!!! AWESOME!! came right away and really helped me out. I definatley suggest using A1 towing NYC. i also needed road side assistance. they also helped me with that. We serve the towing community of Manhattan New York. We are proud to announce that A1 Towing NYC has been endorsed by major auto insurance companies such as AAA, Cross County, G.E., Rod America, Progressive, All State, Nationwide, Geico, and many more. Through our partnership with AAA, A1 Towing NYC is also able to offer many roadside services such as battery replacements on the road, 24/7 flat bed towing, and simple tire replacements to help bring you and your vehicle to safety. If you call us through AAA, you can track our progress through their easy to use application. The app will show you when A1 Towing NYC accepts your request, how long it will take for us to reach you, and when we will arrive. We are also working on developing our own application to guide you through our entire repair process so that you don’t have to stress about your vehicle’s repairs, and get you back on the road in record time. Our application will be available in the Google Play Store and the Apple store in January 2017. A1 Towing NYC partnered up with Midtown Center Auto Repair to offer 24 hour towing and road side assistance in Manhattan NY. This includes Auto Jump Start, Tire Repair and Replacement, Flatbed towing, and everything else you might need. Whether you need your Auto or Motorcycle towed, day or night, we are here. To get more information about our Auto and Motorcycle towing in Manhattan NY click here. Welcome to A1 Towing NYC. We are a towing company located in Manhattan NY. We are proud to say that we have been providing Tow Trucks and Roadside Assistance services in NYC for more than 35 years now. A1 Towing NYC offers 24 hour towing in New York and its surrounding areas, road side assistance, and automotive services. No matter what the issue is, A1 Towing NYC will be happy to send out a fully equipped tow truck to you with a trained and professional technician to assist you. 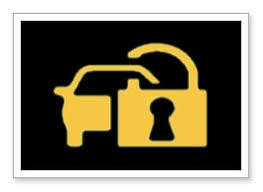 A1 Towing NYC is there 24/7 and ready to assist you with anything you will ever need for your car. Some of the services we offer are 24 hour towing in New York, Tire repair and replacement, Flatbed Towing, Locksmith Service and car unlocking, Road side Assistance, Auto jump start, Fuel delivery and refill, Auto and motorcycle towing. We are open 24/7. Call us today (212) 695-3157. Moving bulky and heavy loads down the road may be very tricky most especially for those who are less experienced. This is due to the fact that you would have to also consider the automobile that’s behind your towing vehicle. Therefore, it’s a must that you keep in mind the basic concepts of towing. By doing such, you’ll make towing even a heavy cargo much simpler and safer thing to do. Carelessness or having less attention to details would likewise result to bumpy rides which may damage any car you’re towing. No matter how powerful or big your engine is, it’s important to determine your vehicle’s towing capacity. If you’re not sure, you may refer to your vehicle’s user manual as it’s a reliable source of information about your vehicle. When it comes to moving things from one house to another, you’re likely to separate the lighter items from the heavier ones. By doing such, you’re expected to transfer items easily and more efficiently. Towing is a process that likewise considers issues about the weight. By keeping yourself aware of the right way of distributing weight, you can make towing safer and easier to perform. It’s also advisable to load the heavier cargo before the smaller ones. A rule of thumb is that the center of gravity of the load should be low. Moreover, the sides of the cargo should be balanced to prevent it from flipping. This is a very basic driving technique, but it’s included in our list to emphasize its importance. By understanding the significance of the side mirrors, you can see the cars behind you. This makes switching lanes and maneuvering a lot safer. Towing at night may be a bit risky as it can be hard to easily view things in front or behind you. Therefore, it’s important to have all your car’s lights in working order. Not only would a busted light put yourself or cargo at risk, but it may also possibly harm pedestrians or other drivers. There’s nothing more embarrassing than experiencing a flat tire while towing. This will not only put your vehicle and cargo at risk, but it will also create a bad taste about your towing company’s efficiency and reliability. By doing some routine tire checks, you’ll increase your chances of making a better ride and will also save yourself from a lot of troubles. It’s important to double-check your brakes in addition to ensuring the lighting systems of the cargo and the tow vehicle. Brakes that are not functioning properly may cause accidents on the road. Towing is very much different to regular driving. Therefore, resist the temptation of pressing your foot down more frequently on the gas pedal. Due to the added length and weight of the towed vehicle, traveling fast may be more dangerous.